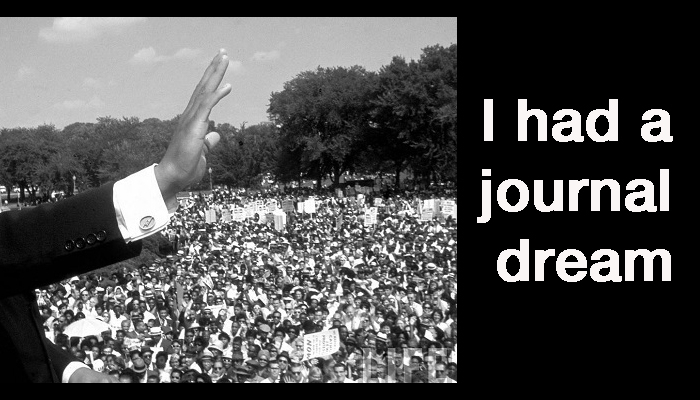 I have a dream that one day I will set up a journal on finance and risks, as I had a dream of writing a blog, and it happened, so the journal will arrive… though I am not sure where it will bring me as an academic. • Management and editorial issues: indexations, manage the team, print publication logistics. • Promote the journal, search subscribers. • Search for editors, peer reviewers, copy editors, content and board members. • Seek more funds: grants, sponsors. • Maintain the web page, platform and processes. • Review submissions if they fit the journal editorial line, quality, scope and readers. • Send papers for peer review, follow reviewers, collect answers and share feedback. • Control plagiarism and copyright guidelines. • You and your department will earn prestige and visibility disseminating knowledge and helping others to publish. • You will strengthen your academic network, finding board members, editors, reviewers and content. • You will improve your curriculum, though I am not sure to what extent. • You can make some cash for your department research and publications, but I am not sure how much. And you, professor, have you ever had that dream? Will it make you a better academic? Do you see any advantages or disadvantages? Alone or with co-editors? Think about it as you prepare your draft paper and choose the journal where you wish to publish.